Intro by zzeroparticle: Normally, I write these things prior to the start of a new anime season. What could be more fun than mindlessly speculating over what such and such composer would deliver upon given the content of an anime? Well, the timing was bad and I never actually got around to completing it, so you’ll have to content yourself with my thoughts of the music from actually watching the anime in question. This might be for the best since the opinions given are informed (slanted though they be, given my musical tastes). 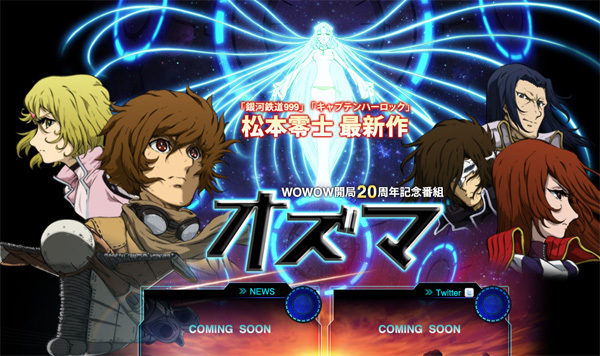 My Thoughts: Just a few seasons ago, Kousuke Yamashita graced us with the beautiful soundtrack to Chihayafuru, and now, he’s back again doing a Leiji Matsumoto sci-fi anime that never saw the light of day… until now. Yamashita’s efforts have been good, but as I watched the anime (2 episodes thus far), I’ve struggled to find some commanding theme to really latch onto. It certainly didn’t grab me as tightly as Chihayafuru’s soundtrack at least. That’s not to say the soundtrack won’t be enjoyable, but given some of the other titles appearing this season, I don’t think we have a candidate for soundtrack of the year like we did with Yamashita’s inspiring work from last year. And yes, the soundtrack has already been released. Synopsis: Two brothers, Mutta and Hibito, make a promise to go into space. Hibito manages to become an astronaut and though Mutta has not been able to do so, his life is about to change, allowing him to live up to that promise. My Thoughts: Toshiyuki Watanabe’s name is not a familiar one to me, but the soundtrack work that he’s done has been pretty extensive. The catch? Most of them are from really old shows like Galactic Drifter Vifam or Peter Pan no Bouken. And yet, I find myself nodding my head at some of the themes that have popped up, particularly this one memorable, inspirational theme that’s driven by the orchestrals and the occasional electric guitar. That said, it is getting just a wee bit repetitive and if it becomes overplayed, it could get annoying fast. For now however, the music as a whole is enjoyable and the anime’s other content (the stuff that most other people care about) has been solid. 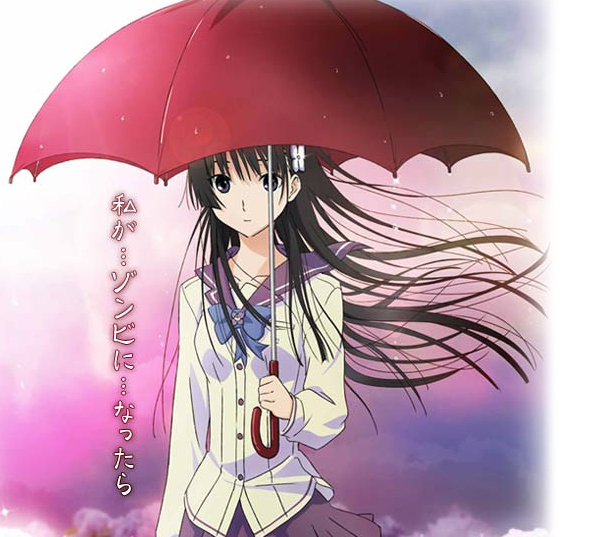 Synopsis: Kaoru Nishimi’s parents are often on the move, which means that Kaoru often changes schools and never really gets to adjust to his new environs and make friends. 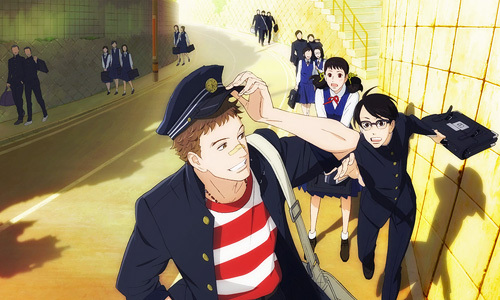 But when he moves to a high school in Kyushu, he meets Sentarou Kawabuchi and the two boys’ passion for jazz leads to his first friendship and a new life ahead. My Thoughts: Ahh yes. This. As if we haven’t written extensively about this beast week after week. So while Aftershok has given his opinion, here’s mine: the show itself is enjoyable, and Yoko Kanno rides the wave of classical jazz pieces on to victory. In other words, she’s not doing a whole lot of work for this anime. That said, the jazz tracks that Kanno DID compose, like the titular “KIDS ON THE SLOPE,” have been enjoyable. That’s a far cry from Nodame Cantabile, which had a very good selection of classical pieces, but a very weak original soundtrack, simply because the composer’s music made specifically for the show just wasn’t all that good. Synopsis: Jonah, a child soldier involved in the many conflicts running throughout Africa, finds himself working for Koko Hekmatyar, an arms dealer. This journey will take him through the black market for arms, filled to the brim with unsavory characters who will make it that much more difficult to turn back from the violence that now surrounds his life. My Thoughts: Now here’s a soundtrack that could tilt towards awesomeness. When the word “child soldier” came up in conjunction with Taku Iwasaki, my mind immediately jumped to his soundtrack to Now and Then, Here and There. That’s not quite what we have here though. When I popped in that first episode, we get a badass song with a lilting delivery reminiscent of Iwasaki’s “Bahasa Palus” from Katanagatari. Talk about grabbing my attention from the get-go! Even with that auspicious opening however, I do worry that some of the atmospheric synth-y blah will manifest and kill some of that awesomeness and turn it into something like… I don’t know… [C]? Talk about a soundtrack to forget, one that makes me pine for the classic Iwasaki. Synopsis: Despite his unwillingness to do so, Houtarou’s sister succeeds in getting him to join his high school’s literature club where he begins to uncover the truth behind an incident which happened 33 years ago involving a female member’s uncle. My Thoughts: Judging from the promo picture above, this might just seem like your normal adolescent anime until the part about the mystery factors in. And after watching one episode of this, it looks like it’s a normal adolescent anime with the mysteries being a complete side-factor. And Kouhei Tanaka’s helming the soundtrack? You wouldn’t really know it from all those classical themes that have popped up, from the likes of Beethoven’s “Moonlight Sonata” to some Ravel and Bach. All that comes together to make for a pretty soundtrack, but an original soundtrack? That’s harder to say. Granted, I’ve only seen one episode so far, so Tanaka’s original compositions might pop up later for all I know. Synopsis: Yuki Sanada is socially awkward and doesn’t really have any friends. One day however, he meets a boy named Haru who claims to be an alien looking for a place to fish. The two are also later joined by Natsuki and an Indian named Akira, and together, the four find themselves in the middle of an event that affects the world. My Thoughts: The Kuricorder Quartet! Light. Easy. Whimsically fun! For a show that’s as kooky as Tsuritama has been thus far, it’s hard to imagine music that’s more fitting. The way the recorders have gone about, delivering their breezy feel makes the scenes all the more delightful as we watch a cornucopia of characters figure out just what the heck is going on. Given what we’ve heard thus far, I’m tempted to call this show out for having some of the most enjoyable BGM within the context of the anime. None out of the other anime I’ve watched have managed to capture their shows’ atmospheres quite like the way Tsuritama has with its bizarrely serendipitous style. Needless to say, I can’t wait for the soundtrack to come out. 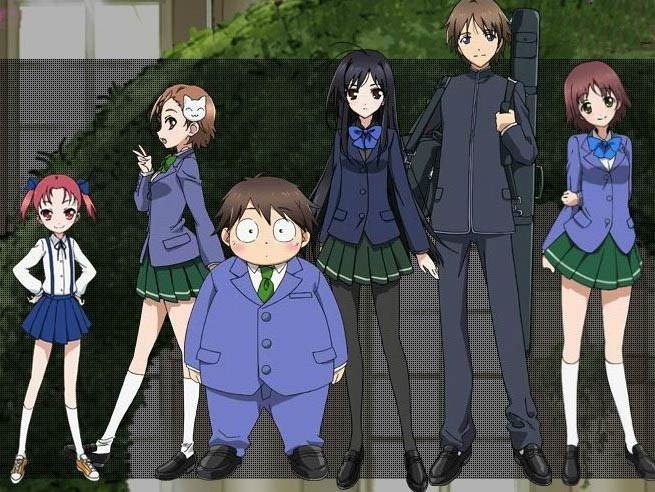 Synopsis: Haruyuki’s encounter with Kuroyukihime, the prettiest girl at school leads him into the Accel World, a virtual area in which he becomes a Burst Knight defending a princess. My Thoughts: This collection of composers is interesting by virtue of the fact that many of them are actually doujin artists. For example, onoken is the one behind that work of Swell Strings that kevo talked about in his electronica article way back when. With that in mind, my guess for what the soundtrack entails is leaning towards synth-pop. Now whether that’s actually what shows up in Accel World is something that its viewers will have to tell me. The premise does look interesting enough; I’m just a bit overloaded at the moment. Synopsis: Four friends experience a summer miracle. My Thoughts: Although the Natsuiro Kiseki’s premise doesn’t sound too promising and that its trappings have the feel of a Sphere promotional vehicle, I can say that Nijine’s involvement in the soundtrack, coupled with some other people’s positive first impressions, should be good tidings. My first experience with her works have been positive when I checked out the soundtrack to Hatsukoi Limited. On top of that, Mashiro-Iro Symphony, while an underwhelming anime, did feature a pleasant Nijine soundtrack that can only be characterized as being severely underrated, and I’d definitely recommend people give that a shot for those who enjoy nuanced drama tracks. If Nijine’s track record continues to shine here, then consider me a happy camper. Synopsis: Furuya is obsessed with zombies and has amassed a huge collection of zombie paraphernalia. But when his cat dies, he tries to revive it with a potion. Around this time, he meets a girl named Rea who tries to commit suicide using Furuya’s potion, but instead, becomes a zombie. My Thoughts: Yukari Hashimoto has gotten a change to work on some pretty high-caliber anime; one needn’t look far to see her name gracing soundtracks to such works as Toradora! 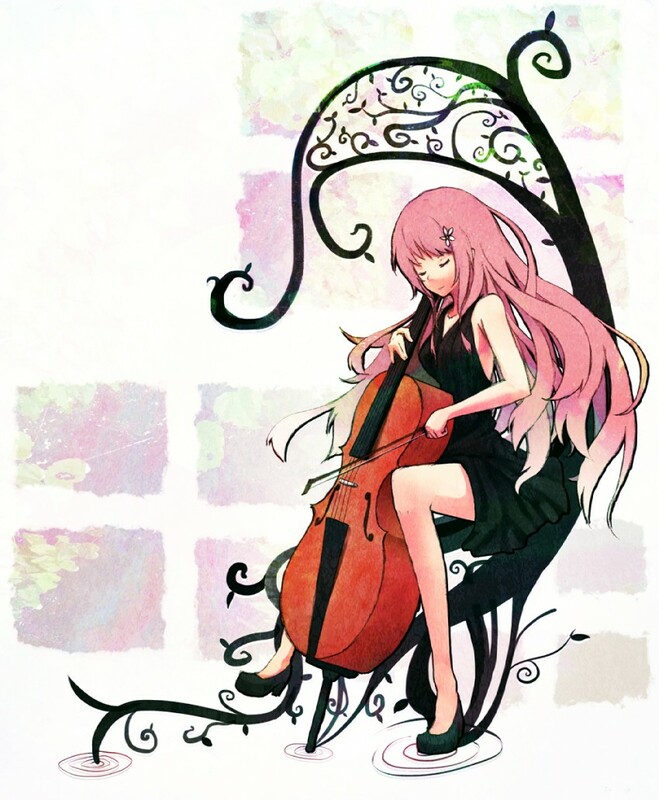 and, more recently, the soundtrack to Mawaru Penguindrum. In the latter work, she manages to demonstrate her compositional competence through the most excellent “The Children of Fate,” but as she’s shown time over time, she’s not altogether too consistent a composer. So given her track record, I’d expect to be impressed by a few pieces and be indifferent at best about the rest of the tracks she puts forth, regardless of how well they match the scenes in question. Synopsis: Medaka Kurokami is an earnest high school student who is the Student Council President at Hanokiwa Academy despite being a first year student. One of her first initiatives is to launch a suggestion box to improve things at school, but it ends up creating a lot of challenges for her. My Thoughts: Tatsuya Katou has come a long way since the work he did for Kampfer’s soundtrack. Since then, he’s done a lot of anime scores, including Mirai Nikki as well as the highly-regarded soundtrack for Horizon in the Middle of Nowhere. Or, to be more accurate, highly-regarded by other people who aren’t me. All of Katou’s scores, with the exception of Kampfer have been serviceable, but his music has been all over the map and hasn’t been quite as engaging. But I do realize that some people regard him as an excellent up-an-comer, complete with an orchestral sound comparable to Kanno’s work on Macross Frontier and Aquarion EVOL (a contention I highly disagree with), and so, he gets his mention here for those looking to discover more of his works. Conclusion: With so much anime to cover, I’m sure all I’ve done is basically touch the tip of the iceberg. For example, there are a lot of continuations worth mentioning, like Yuki Kajiura’s work for Fate/Zero or Hirano’s work on the newest Hunter x Hunter and a few nice(?) surprises from Tomoki Kikuya, Masaru Yokoyama, or even MONACA’s staff maybe? Let me know what you think as always! I think Tsuritama’s soundtrack has been the most memorable so far. Their music is just fun to listen to. It was pretty cool during the noitaminA live event a few months ago – Kuricorder Quartet was there and they played “Moanin'” live with their usual instruments. It was neat. The main theme for Space Brothers is definitely getting overused. It’s been played so many times already and we’re only six episodes in. This anime is supposed to be 40+ episodes, if I recall correctly, so I hope they change up the music as it progresses. That aside, the music has been good. I’m not really familiar with Toshiyuki Watanabe though. Definitely agree about Apollon’s and Ozuma’s soundtracks not being as great as I hoped they would be. Ozuma seemed to lack a memorable main theme and Kanno only got to compose around 10-12 original tracks for Apollon. 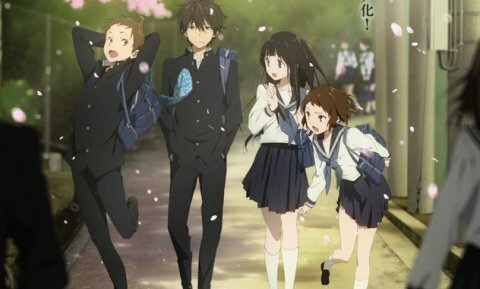 I can’t comment on Hyouka because, as you said, it’s too early to tell. Kouhei Tanaka usually does good work though and I don’t expect to be disappointed. Lupin the Third’s soundtrack is jazzy but not really explosive like Yuji Ohno’s work. In case you didn’t hear, they got a new composer for this Lupin series. Naruyoshi Kikuchi, who has no previous anime work aside from occasionally performing with The Seatbelts. His music does the job, but it’s sort of disappointing when Yuji Ohno’s Lupin music doesn’t play – not even the main theme. I was surprised to see that James Shimoji was composing the music for Ginga e Kickoff!!. It seems to be his first new work since Redline. The music definitely isn’t as interesting as Redline but I expect there will be a few gems here and there. At least that’s how it seems based on what I’ve watched so far. It’s a sport anime but there’s only been like one match so far. Well, that sure sounds like a concert that I would have liked to tune in to. Time to scour youtube to see if anyone has posted a recording since that sure sounds awesome. And thanks for all of those other updates. Guess that means I take a peek at Accel World and really pay attention to Hasegawa’s work on Nazo no Kanojo X. Also, more Lupin jazz? Something I should watch given how good people have told me it was. As for Shimoji’s work, I was a bit intrigued with how it’d sound on a show that’s somewhat kiddy-ish (it has that look, if you know what I mean), but hopefully it’ll pan out. If you’re talking about the best soundtracks of this season, then you really should go and start watching Mysterious Girlfriend X. Not only is it very original, different and distinguishable, it also completely fits the mysterious essence/click the show has been giving. I swear listen to some of it on <a href=", you’d love it. There’s also Eureka 7 Ao, Jourmungand, the new tracks for Fate/Zero, and even Lupin III. haha just click the link I encoded it wrong. Hasegawa’s work for Sayonara Zetsubou Sensei has been excellent all around, especially when it comes to creating darker atmospheres so I’ll definitely pay heed to this soundtrack once I start watching the show.